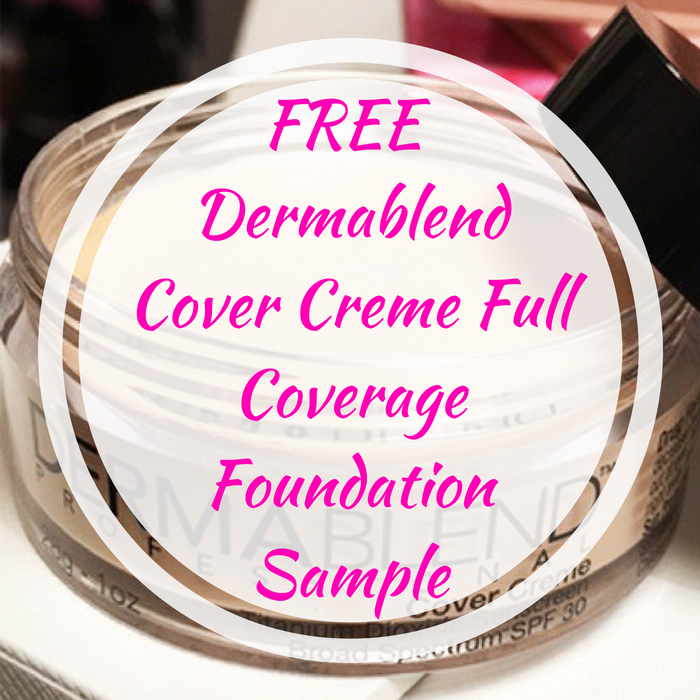 FREE Dermablend Cover Creme Full Coverage Foundation Sample! You are here: Home / FREEbies / FREE Dermablend Cover Creme Full Coverage Foundation Sample! For a limited time only! Hurry over to Dermablend to score a FREE Cover Creme Full Coverage Foundation Sample! All you need to do is fill out the short form! That easy! You’ll get three FREE shade swatches of their best-selling full-coverage foundation. Sweet!